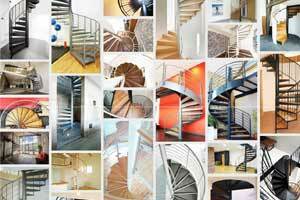 Welcome to our page of kit spiral staircases. 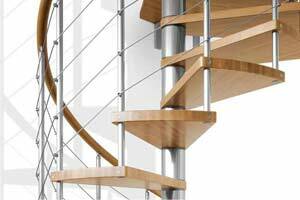 These are specially designed off the shelf spirals supplied as DIY assemble kits that arrive with full instructions and have an online video detailing the step by step installation method. The standard kit for most of the models have with 13 risers included, consisting of 12 treads and a top platform. As each riser height is adjustable, the standard kit will reach heights of around 2900mm depending on the model. 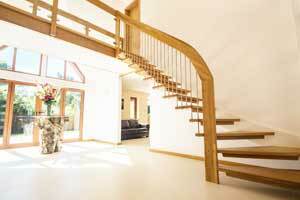 If you have a greater floor to floor height then you simply need to purchase additional treads. Likewise, should your floor to floor height be lower then you wouldn’t install all the steps supplied. They can also be installed clockwise or anticlockwise. 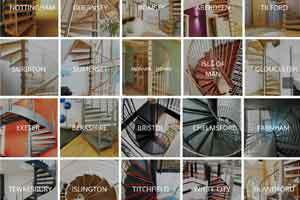 As they are a kit staircase, the vast majority are already produced so delivery times are very quick. All the spirals in the range are constructed in a very similar manner yet differ in appearance depending on the materials used in production. Below you will see the different models grouped separately with links to their own page. There you will find more details information on each, installation videos and an assembly guide. 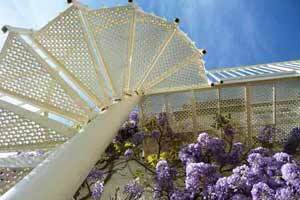 The available diameters vary from model to model but 1600mm is the overall maximum for any spiral. 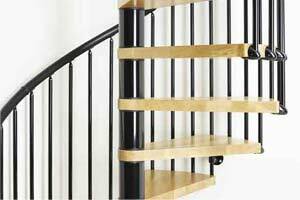 Kit spiral staircases are not large enough to be used as a primary stair but are suitable, in certain diameters, to meet regulations as secondary domestic stairs. The centre column barrels are formed with steel cylinders on all the kit spiral staircases and are powder coated various colours. 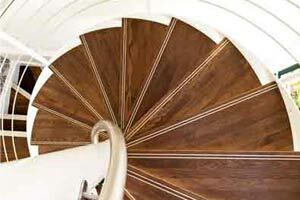 The treads are either beech or oak or pressed steel plate. 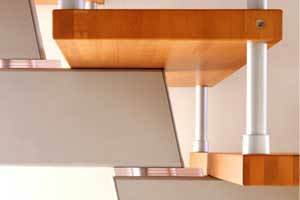 Due to the adjustable nature of the product, the handrail is supplied in PVC or in timber coloured polyurethane. Materials vary on each model. The beauty of these kit systems is that the height of each step is adjustable. The standard 13 riser kit for example will suffice for 90% of floor to floor heights. 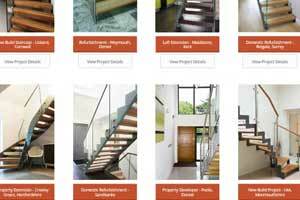 The variations in height adjustments varies between models but additional steps are available should your floor to floor height be greater than the maximum the standard kit can achieve. 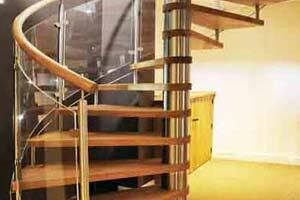 The most popular additional items that customers are matching landing balustrade to run around the opening upstairs and riser bars. 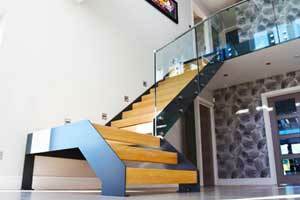 Riser bars reduce the space between the treads to ensure a gap of less than 100mm. This is a regulation for domestic stairs in the UK.